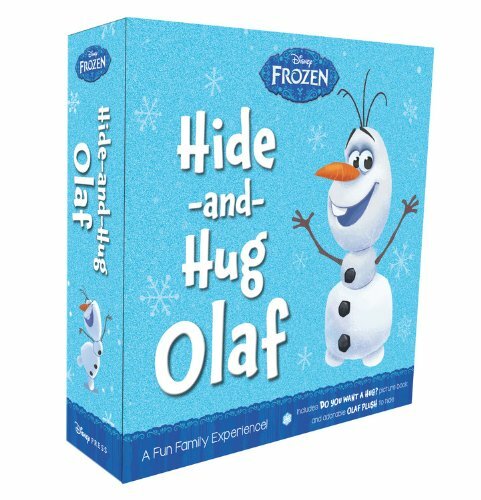 This is a great bundle pack that includes everything you need to make your own little Frozen-themed Christmas tree! You'll get the tree, ornaments, and even a Frozen-themed Christmas tree skirt! 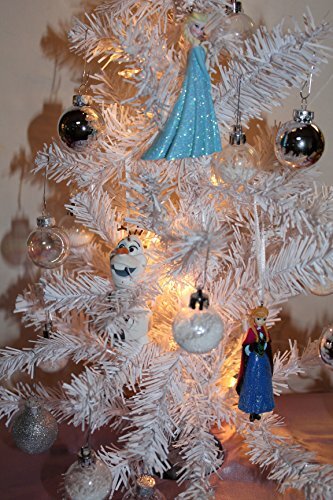 This Frozen Christmas tree kit comes with a 25" tall white tinsel pre-lit tree. You'll also get ornaments. The sisters Anna and Elsa along with their best pal Olaf the snowman are included. The kit also comes with 16 miniature ornaments in white or transparent, some with snowflake details. The set also comes with a small silver star tree topper. The tree is completed with the matching Frozen-themed tree skirt. The light pink skirt is 24" and has a bold image of Elsa and Anna within a snowflake circle.